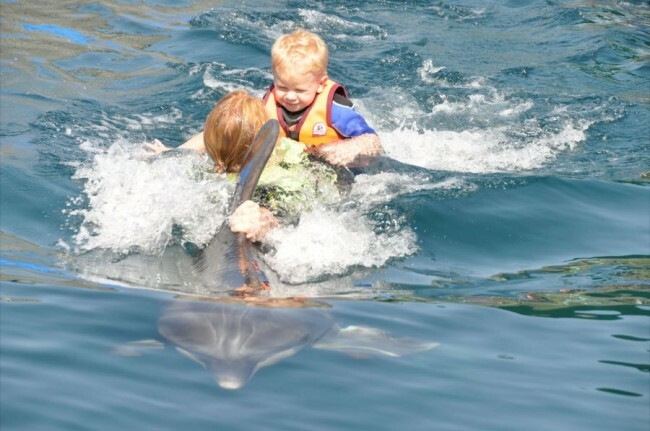 The dolphin therapy first and foremost! Because that was the purpose of this trip. Because we hoped without expecting much. Because it was infinitely better than what we expected. Because it was just indescribable, because all six of us felt the effects! It was very impressive to watch our three little guys, both anxious and excited at the prospect of meeting these large marine animals. Flip, Benoit’s dolphin, measures a little over a whopping 3 meters! Diego, our youngest, would have happily waved us goodbye to go swim alone in the sea with Daisy “my own dauphin” as he called it. We watched him tame Daisy with incredible ease and learn to control his movements and impulsivity so as to not see Daisy swim away from him. My name is Gerd, I am 46 years old and suffer from Muscular distrophy (HSMN II) since I was 5. 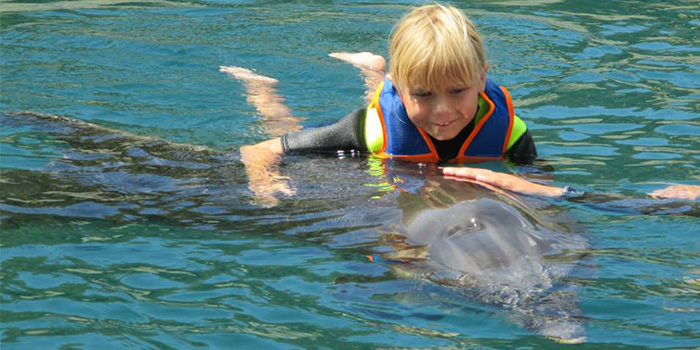 The half-paralyzed girl from Neustadt was able to swim with dolphins. The therapy shows its first successes. Careful, this is crawling! Dolphin lady Daisy is tenderly tickling Marie’s feet. The half-paralyzed girl was able to work with specially trained animals in water in Turkey. They might see each other again next year. 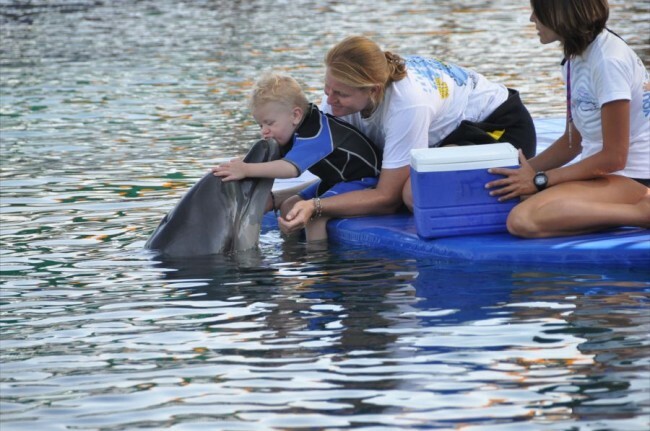 So, it is now time for the Report of our third Dolphin Therapy, from 09.09 – 23.09.2011, in the ONMEGA Dolphin Therapy Center in Marmaris, Turkey! On 09.09.2011 at long last the time had come, the aircraft flew us south, to the dolphins !! As Leon had his therapy bicycle with him this time, we had booked a special Transfer through the Therapy Center, which worked very well. After a short wait we drove from the airport in Dalaman straight to the Club Turban Hotel in Marmaris. We were so pleased with the Hotel last time we decided to stay there again. Everything there is suitable for children and the disabled, and the staff is really kind. The weather was, apart from 2 rainy afternoons, super; sunshine and a temperature of 40°C, not so hot as in July. Just right for us after the bad Summer we had at home. I wanted to write of my time at the therapy centre in Marmaris, and to thank you all again for the wonderful care, and attention, you gave me.